If you enjoy “sniffing out” and exploring Michigan’s most fascinating historical facets, join us for the Historical Society of Michigan’s series of in-depth lectures each month. 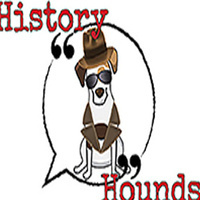 The History Hounds series is held Lansing but you can watch these presentations live for free at the Beaumier Center at 7 p.m. Author Tobin Buhk returns to History Hounds with more stories of true crime in the Great Lakes State. The 1916 poisoning of the Peck family of Grand Rapids; murderer Helmuth Schmidt; Mary McKnight, the Strychnine Saint–all are ghastly tales from Michigan’s history. Learn about these and more in this spellbinding lecture.